Australia’s oldest-known piece of Indigenous jewellery has been unearthed in the Kimberley region of northern Australia by archaeologists at The Australian National University (ANU). 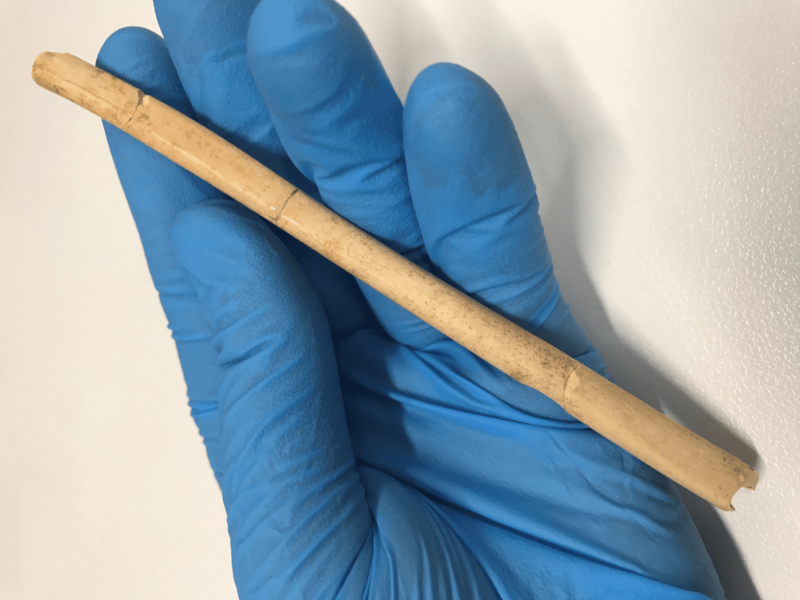 The ornament, a pointed kangaroo bone worn through the nose, has been dated at more than 46,000-years-old and debunks a theory that bone tools were not used in Australia for thousands of years. Researcher Dr Michelle Langley of the ANU School of Culture, History and Language said this was the earliest hard evidence that Australia’s first inhabitants were using bone to make tools and ornaments. “We know people had bone tools in Africa at least 75,000 years ago. People were leaving Africa around the same time and arrived in Australia some 60,000 years ago,” Dr Langley said. “Until very recently the earliest bone tools we had found in Australia dated to about 20,000 years ago, so there has been a 40,000 year gap. “Some people believed that the knowledge of bone tool making was lost on the journey between Africa and Australia. The bone was dug up at Carpenter’s Gap, a large rockshelter in Windjana Gorge National Park. “It’s a shaped point made on kangaroo leg bone, and at each end we can see traces of red ochre,” Dr Langley said. Throughout history Indigenous Australians have used kangaroo leg bones for a variety of activities, such as leatherwork, basketry, ceremonial tasks, and bodily decoration. “The bone we found is most consistent with those used for facial decoration,” she said. Dr Langley said the location and nature of this artefact made it a rare and remarkable discovery. “Organic based items like this don’t survive in the north Australian archaeological record very often, so it’s a very unusual find,” she said. This work resulted from an Australian Research Council Linkage grant awarded to Professor Sue O’Connor. The same project previously unearthed fragments from the world’s oldest-known ground-edge axe.